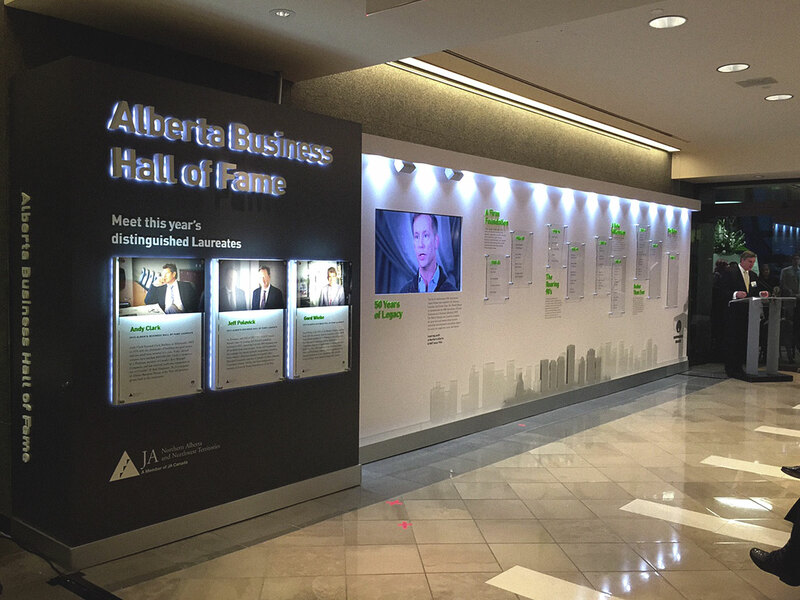 Since 1980, the Junior Achievement Alberta Business Hall of Fame has celebrated the lives of Albertans whose business leadership and community stewardship has shaped the way people live, work and interact. 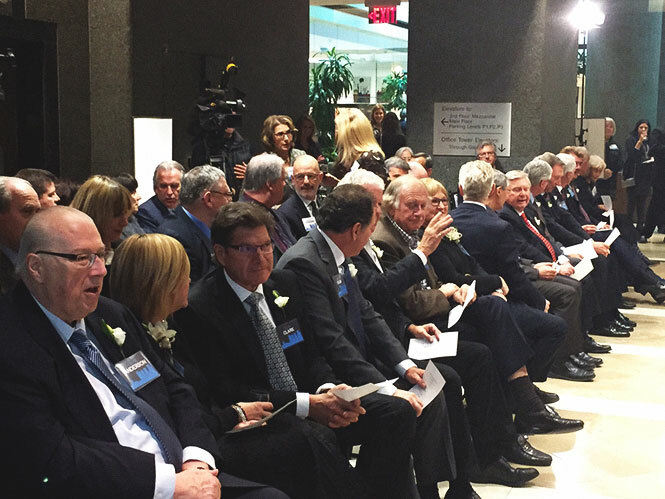 These Laureates are mentors and role models for the JA youth who are Canada’s future leaders. 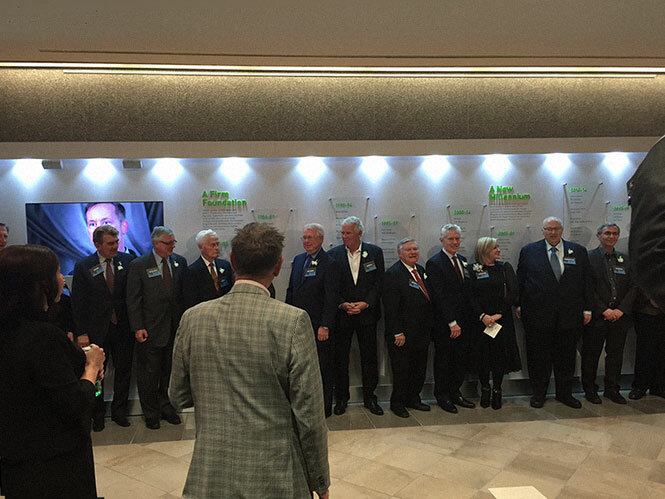 As part of its 50th Anniversary Legacy Project, JA, in partnership with Manulife Real Estate, erected a Wall of Fame at Manulife Place in Edmonton to honour and recognize the Laureates. Taking inspiration from museum and gallery installations, we set out to create a space that invites people to linger, and to really consider the impact of the Laureates’ achievements. 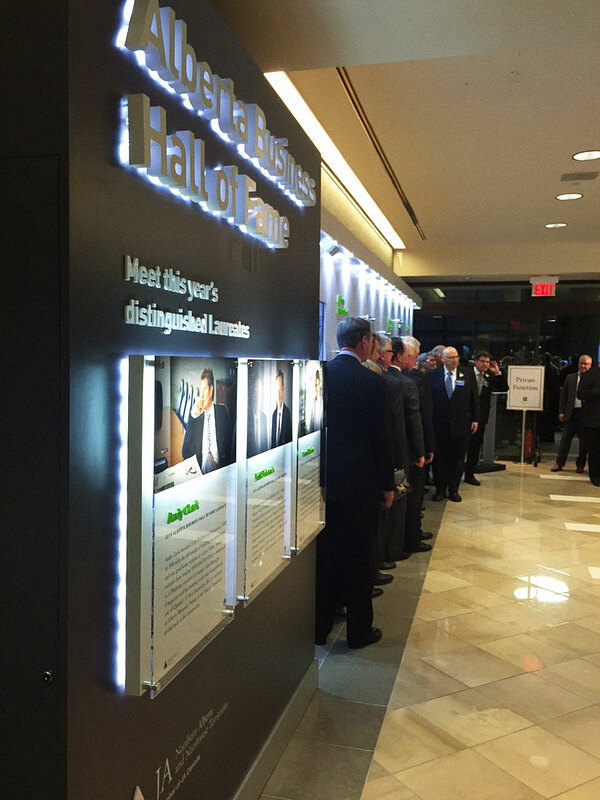 High-quality materials consistent with the image of Manulife and the Laureates, and a digital screen tell a broader story that will change annually as new Laureates are inducted.